Upon arrival at The Center, new residents are assessed by one or more licensed therapists which may include physical, occupational, and/or speech. A comprehensive, individualized plan of care is then custom-designed for each individual. Transportation to follow-up medical appointments is coordinated and provided by The Center as needed. 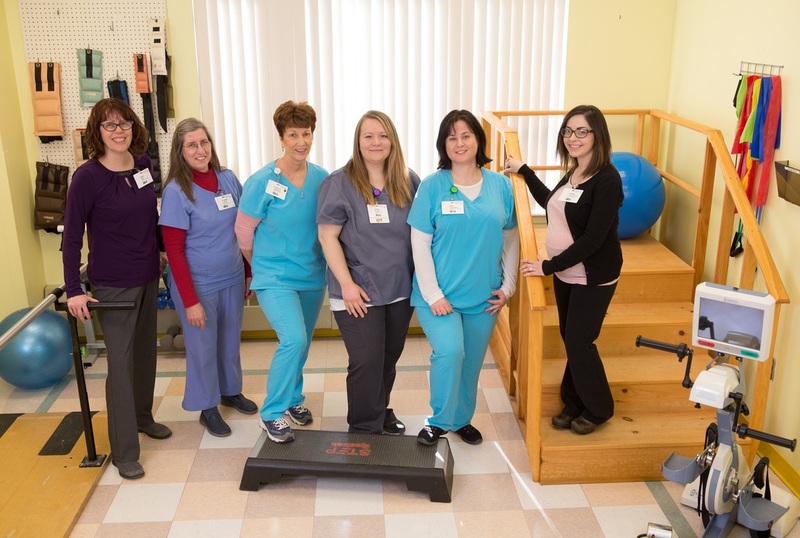 Our Occupational Therapists and Occupational Therapy Assistants work to get residents back to participating in the activities of life important to them. This can include personal care, meal preparation, home activities and leisure tasks. We incorporate individualized therapeutic activities into treatment and are especially proud of our use of our outdoor deck and garden in the warm weather to assist in reaching goals. 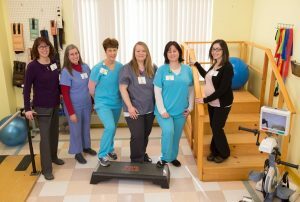 Our licensed Physical Therapists and Physical Therapy Assistants work with residents in areas that may include strengthening, gait training, balance, exercise, and pain management in our friendly, comfortable fully-equipped rehabilitation gym and our outdoor garden. Our Speech–Language Pathologists address swallowing, communication and cognitive needs and works closely with nursing and dietary staff. Instrumental swallowing exams are also done in-house. Arthritic issues plague so many of us especially as we age. Our nurses and physical therapists understand this and provided range of motion equipment and daily exercises to help individuals lessen the restraint of arthritis. The Center provides weekly transport for residents to visit mental health facilities or a psychiatrist. We also help every individual moving from a short-term stay to another level care if needed. This could be assisted living, a nursing center, or at-home nursing care.